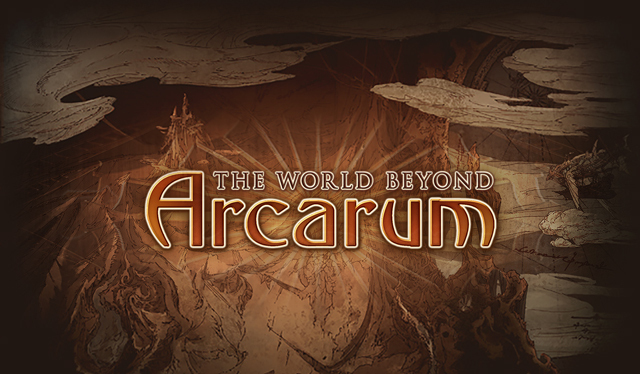 Arcarum: The World Beyond is a solo game mode. It is unlocked after completing Chapter 44 of the main story and clearing the quest Chapter 30 (44/65) Quest: Inchoate World. Rewards include materials needed to create powerful summons based on the Major Arcana. Starting an expedition in Arcarum requires an Arcarum Badge. 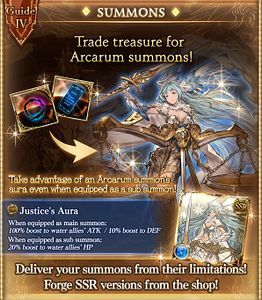 You will get one Arcarum badge after completing the Arcarum tutorial. From then on you will automatically receive one Arcarum badge each day at 5 a.m. (JST). Badges will not be given if you have already reached the maximum number of badges you can hold. Unlock Arcarum as soon as possible so that you can accumulate Arcarum Badges. Arcarum is an excellent place to get basic treasures, Half Elixirs, Soul Berries, and SSR Omega Weapons. Don't be afraid to retreat from battles if you're about to lose. Retreating costs 10 TP. As long as you still have enough TP afterwards, retreating will not result in failing an expedition. You may attempt the same battle again with full HP if you so choose. Invest in at least one Mighty Cure-All for emergencies. Explorer Potions are also useful, but try to conserve its usage. Save up your Arcapoints so that you can eventually buy Sunlight Stones and/or recruit Monika. Avoid buying summon materials from the shop, at least until you have obtained all the materials needed that can't be bought from the shop beforehand. Expeditions are unique gameplay sections with a mixture of exploration and battle. Rather than the usual AP costs, actions during an expedition consume TP, starting with a pool of 100 (50 in Hard Mode). Running out of TP or being defeated in battle will force a retreat. Every stage is broken up into 3 sections with a selection of locations to explore and an objective to complete to continue into the next section. Completing the objective on the third map will complete the expedition by reaching a checkpoint, unlocking the next stage for the next expedition. Every third stage contains a boss on the final section. After completing an objective, it is still possible to fully explore the current map before carrying on. It is not possible to return to a prior map. 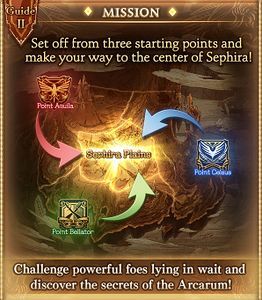 The expedition starting point determines the Arcarum boss in stage 9-3 and generally seems to influence the element of enemies encountered. The final reward chest rewards also appear to be based on the displayed Arcarum. The displayed Arcarum appears on that route only. If you get the wrong one, you can try again at the cost of another Arcarum Badge. 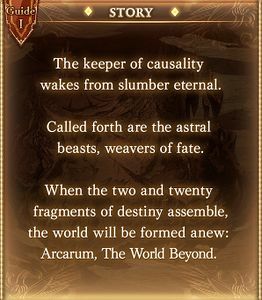 The same Arcarum may still appear the next day. Once the boss of stage 9-3 is defeated, the expedition point resets back to stage 1-1. All three points on Normal difficulty must be cleared before Hard difficulty is unlocked. Every one can be tackled freely in any order once revealed, though treasure chests, Sephira spirethorns, and Do or Die! conditions can trigger a fight that must be completed before any other action can be taken. Such a fight can also occur at the starting location. Some locations can also be blocked (signified by clouds hovering above them) until monsters with a "Bound" name add-on are defeated at a nearby location. Boss maps are different in that they only contain one location besides the starting location with no exploration necessary and containing just the boss. During an expedition support summons are not available and no regular healing items are usable. To make up for this, a variety of healing and buff items can be bought in the item shop. Entering a battle costs 1 TP. Every turn taken also costs 1 TP, though it is possible to save TP by defeating enemies with damage skills alone. Monster encounters can range from 1-3 enemies, with their elemental icons visible on the map along with an indicator of health and attack power of the encounter. Each battle is separate, meaning every battle starts with the party at full health and skills/summons at their default state. Retreating from a battle costs 10 TP. Provided that you still have enough TP afterwards, retreating will not result in failing an expedition and you may attempt the same battle again. TP starts at 50 instead of 100. If such an effect is active on a stage, silver treasure chests may lift the effect. Party can't use charge attacks. All penalties except for character restrictions will eventually be lifted in battle, but will be applied again for the next battle. Character restriction stage effect may now limit to R characters only. Additionally, a Mimic may appear from a treasure chest instead. Treasure chests can also grant Status Effects for the current map similar to the Drop Items from the shop instead. After fully clearing a route on any difficulty, stages on that route and difficulty can also be cleared through the Fast Expedition option. 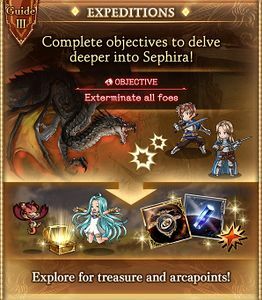 Doing so will instantly clear the stage without any battles or other player actions, though without experience gains and generally fewer rewards (both loot and arcapoints) than a regular expedition. Rewards also don't count towards any trophies. Fast Expeditions also still cost a badge to start. Fast Expeditions are not available for stages with bosses (stages 3, 6 and 9). The Item Depot contains all items owned that are exclusive to Expeditions. A set number of each type can be carried into an expedition. This does not consume the items until they are used by the player. Globe of the Starways ∞ Lets you fight against a different Arcarum. Appears in the shop after clearing all 3 expedition points on Normal. Usable only on Stage 9-3. Globes bought during an active expedition will be immediately added to the expedition's item depot. Monika 1 1 20,000 Unlocked after clearing all Hard stages. Globe of the Starways 1 ∞ 1,500 Unlocked after clearing all Normal stages. Arcapoint Weekly Limit Upgrade 1 1 1,000 Unlocked after clearing all Hard stages. Arcapoint Weekly Limit Upgrade+ 1 1 1,000 Unlocked after clearing all Extreme stages.